Tag Archives: how do I know if my passport has been revoked? Don’t want to pay your taxes ehh? We’ll get your attention! So the short answer to the question is yes, the IRS can revoke your passport if you have a “seriously delinquent” tax debt. But what exactly does that mean? 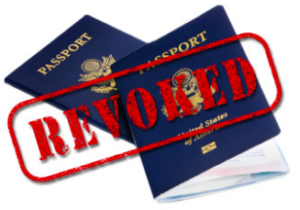 More importantly, what can you do if your passport is at risk of being revoked? Read on to learn more my friend! On December 4, 2015, President Obama signed the Fixing America’s Surface Transportation (FAST) Act (Pub. L. No. 114-94) into law—the first federal law in over a decade to provide long-term funding certainty for surface transportation infrastructure planning and investment. But like all legislative bills/acts, other things that may appear unrelated often get inserted into them. This act was no different. The IRS has issued a levy. The IRS is required to notify you in writing at the time the IRS certifies seriously delinquent tax debt to the State Department. This is done via IRS notice CP 508C. If you have been certified to the Department of State by the Secretary of the Treasury as having a seriously delinquent tax debt, you cannot be issued a U.S. passport and your current U.S. passport may be revoked. How do you resolve the situation? The tax debt is fully satisfied or becomes legally unenforceable. You and the IRS enter into an installment agreement allowing you to pay the debt over time. The IRS accepts an offer in compromise to satisfy the debt. The Justice Department enters into a settlement agreement to satisfy the debt. Collection is suspended because you request innocent spouse relief under IRC § 6015. You make a timely request for a collection due process hearing regarding a levy to collect the debt. The IRS will make this reversal within 30 days and provide notification to the State Department as soon as practicable. making an offer in compromise. But what if the IRS made an error? The State Department is held harmless in these matters and cannot be sued for any erroneous notification or failed decertification under IRC § 7345. If you believe that the IRS certified your debt to the State Department in error, you can file suit in the U.S. Tax Court or a U.S. District Court to have the court determine whether the certification is erroneous or the IRS failed to reverse the certification when it was required to do so. If the court determines the certification is erroneous or should be reversed, it can order the IRS to notify the State Department that the certification was in error. Can I contact the State Department to find out the status of my passport? As you can tell from above, the IRS will only really reverse the certification if the debt is no longer enforceable (i.e. collectable) or if you enter into a resolution option (i.e. payment plan, currently not collectible, etc). 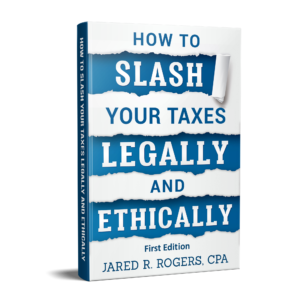 With regards to enforceability, the IRS only has 10 years from the date of assessment to collect on unpaid taxes. If you are getting letters, your debt is more than likely still active. But do you know when it will expire? This is called the CSED date. If your debt will not expire for some time, we are fully authorized to represent your before the IRS and can can help negotiate a resolution option (i.e. IA, OIC, CNC) that will satisfy the IRS conditions to have your certification revoked/lifted. You can learn more about our representation services by visiting the IRS Debt Representation page or reading the IRS Talk post within our blog. When you are ready to get started, simply call us at (773) 239-8850 or click our email address at the bottom of this screen. This entry was posted in IRS Talk and tagged 26 U.S. Code § 7345 - Revocation or denial of passport in case of certain tax delinquencies, Can The IRS Revoke My Passport?, CSED calculating service, Fixing America’s Surface Transportation Act, how do I know if my passport has been revoked?, how much in back taxes can I owe to still get a passport, how to check if passport is revoked, IRS CNC Status, IRS Collection Statute Expiration Date (CSED), IRS CSED, irs csed calculator, IRS IA, IRS Notice CP 508C, IRS OIC, IRS passport denial 2018, IRS passport restriction, IRS passport revocation, IRS Passport Revocation or Denial for Unpaid Taxes - CP 508C, IRS passport status, passport revoked for back taxes, Passports and Seriously Delinquent Tax Debt, revocation or denial of passport in case of certain tax delinquencies on July 28, 2018 by Administrator.